Example came to the stage and they sang together. Before the show, they sang this song in the charity show, and they sang again. In the same time, The Stone Roses and David Guetta, Ed Sheeran played in the different stages. I walked here and there to see them all. At that time, I didn't know much about Ed Sheeran. Whe I walked by some stage, the music was so good. Someone played only with guitar and sang. I went in to the stage and I concentrated on the show. There were so many people in the stage. Stone Roses and David Guetta were main stages. Ed Sheeran is in the Sub Stage. The stage area was full of the people. I couldn't watch him very close. I watched him at the end of the area. Actually I don't like accustic guitar sound. 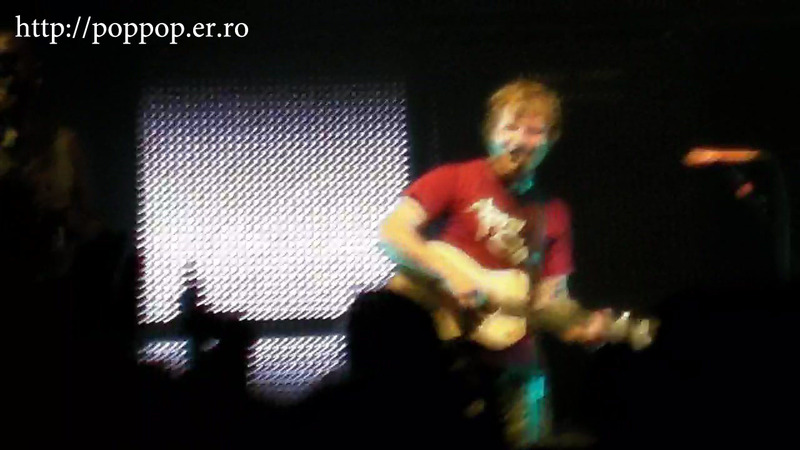 However, Ed Sheeran's music was so nice. It was almost 5 years ago. Now he is the world pop star. However, I prefer that time than current style.